If 1988 was Freddy at his peak, 1989 was the beginning of the end for Freddy. 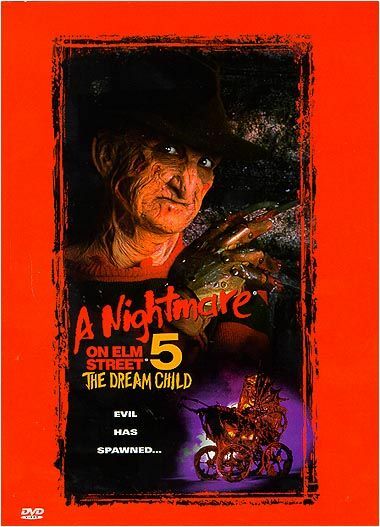 With 1989 saw the release of “The Dream Child”, the fifth installment of the Freddy franchise. Audiences were not impressed. The film grossed a little under half of what its immediate predecessor earned ($22 million vs. $49 million). Audiences seemed to have their fill of Freddy. Was “The Dream Child” just an underrated classic released at the wrong time or did this film deserve to be gutted at the box office? Our resident twitter reviewer Tim Schilling finds out with a brand new tweet by tweet review. 0:06 Ew please don’t show when Freddy was conceived. 0:16 Where would she even fall asleep if she was at her own graduation? 0:19 That baby sure is ugly. 0:21 That made no sense how Freddy came back. They better explain why. 0:29 Dan’s dream was a dream in a dream… Inception. 0:32 You’re just a little pregnant. 0:35 At this point wouldn’t everyone already know who Freddy is so we don’t have to go through it every movie? 0:41 That dinner scene… I don’t know why I liked it. So weird. 0:49 Maybe she could just not name the baby Jacob and all of the could be over. 0:58 What kind of lawyers do these people have that they think they already have a claim on someone else’s baby? 1:09 Oh no super Freddy. 1:15 Hahha ew, poor Freddy. I hope they don’t do what they did to his mother. 1:24 Freddy just die already. I thought the fourth one was confusing, but #ANightmareOnElmStreet5 was even more so. The plot made no sense, at all. It was basically a random reason to make another movie in the series. But, I still love how weird these movies are. The crazy effects are too awesome to hate.